Ever Considered Jade Beach For Your Place Of Residence? The times change as we develop new and new technologies. Today, just about everything uses technology, including our homes. The list of new home inventions goes on and on and includes many different technologies, such as automatic vacuum cleaner for your floors and your swimming pool. However, it is rare when the entire apartment offers “smart home” technology and Jade Beach Sunny Isles does just that. Even less than fifteen-twenty years ago it would have seemed unrealistic to have homes equipped with the “smart home” technology, which includes wireless controls which are installed in your walls as well as various devices to operate lighting, cooling, heating, appliances, shades, security, stereo and even your TV’s. 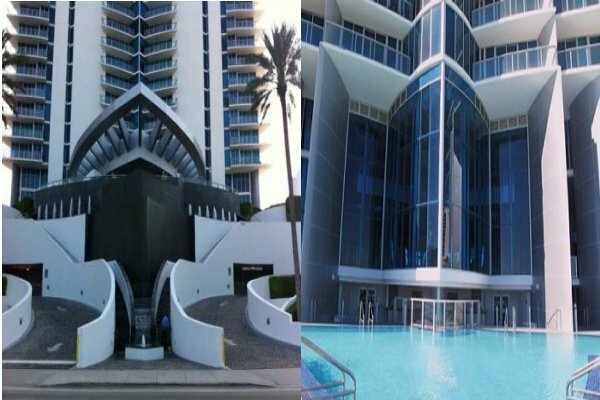 However, these days it is expected in all high-end homes such as luxury condominiums in Sunny Isles Beach which are currently offered for sale. However, it is a common thing these days to remotely operate your home devises, so this plus many other features are offered by one of the most luxurious buildings in Sunny Isles Beach – Jade Beach Condo. Jade Beach is a 51-story sky-scraper in Sunny Isles Beach, located in the heart of Sunny Isles on 171st Street and Collins Ave. It was developed by Fortune International Group and Carlos Ott, one of the most prominent architects of our time. This luxury condominium was designed to offer top amenities, activities and comfort for its 235 residents. Jade Beach Sunny Isles is located within close proximity to Bal Harbour and Aventura mall and only about 20 minutes from both International airports. You can find all information about Jade Beach, including currently available condos for sale and rent, sold history from when it was built, photos and statistics for Jade Beach Sunny Realty here. In addition to an amazing structure and beautiful design of the building, the residents have access to top-of-the-line amenities year-round. This includes the gorgeous private beach, beach side café, state-of-the-art gym, kids playroom and more. The building also offers 24-hour concierge, security and mail services. There is a round the clock business center with meeting rooms and offices available for the residents at any time, just reserve it prior to your use and you can hold business meetings right in your own residence! In addition, the owners at Jade Beach can utilize the link on their mobile devises to connect to their home devises and be able to control it from anywhere in the world. So you could request to turn on your air conditioning for example several hours before you come in or have concierge deliver your mail and packages upstairs to your residence upon your arrival. All of this, and so much more is awaiting for you at the beautiful Jade Beach – one of the most luxurious place to live in Florida.